The Cecilio 2Series TT-280N trumpet is ideal for beginner or student musicians. 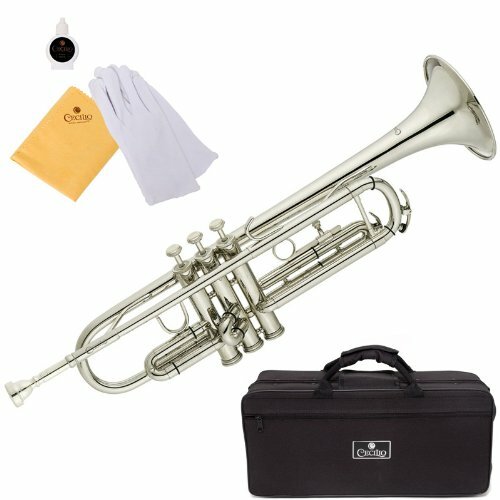 This high quality trumpet features a phosphorus copper lead mouth pipe, topped with 3 comfortable white mother of pearl key inlaid and 3 smooth action valves. 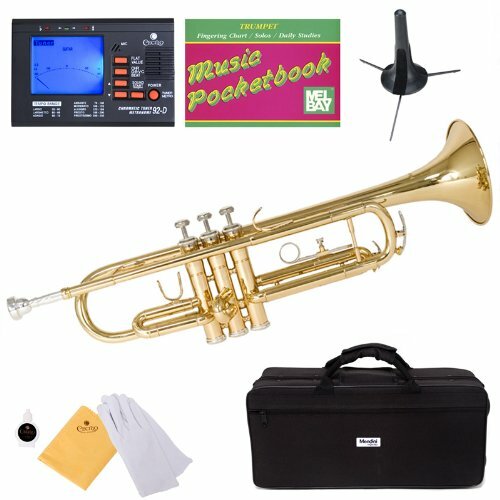 Every Cecilio 2Series TT-280N trumpet is play tested at Cecilio’s factory and re-tested at their Los Angeles distribution center to ensure that their high quality standards are met. 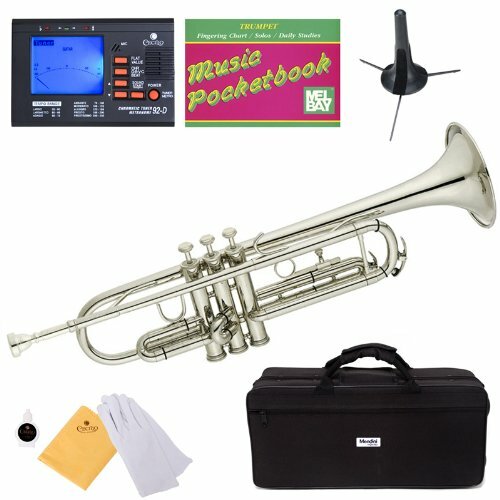 This is why thousands of instructors have approved these trumpets and suggest that any beginner trumpeters buy one of these instruments. The Cecilio 2Series TT-280N package includes a plush-lined nylon covered hard shell case with backpack straps (making it convenient to carry to school or band practice), a pair of gloves, a soft cleaning cloth, and a bottle of valve oil.